Authors in the country were encouraged to inspire this generation of young lawyers in writing more books for the future generations to come. This message was emphasized by the Chief Justice of Papua New Guinea, His Honour, Sir Gibbs Salika, KBE, CSM, OBE and the Minister for Justice & Attorney General, Hon. Davis Steven, MP, LLB during the launch of two very significant publications recently. 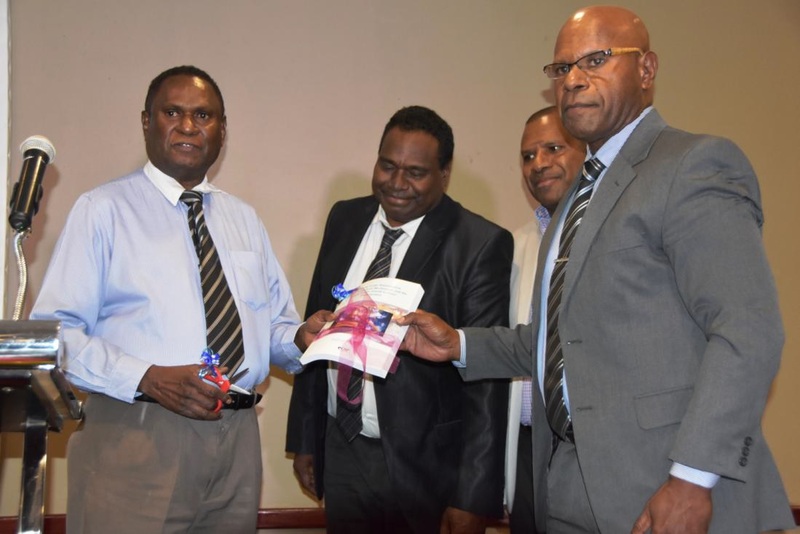 The two publications; the „Attorney General‟s Law Digest‟ and „The World Trade Organization Dispute Settlement Mechanism and the South Pacific Island Nations‟ Participation‟ by Dr Wilfred Golman were recently launched at the Holiday Inn, in Port Moresby. Speaking during the launching, His Honour, Sir Gibbs Salika emphasized on the importance of books and how valuable books are in their profession as lawyers and judges. “Books are our tool of trade; we cannot achieve knowledge without books. No matter your years of experience, how smart one may be or the title you hold, none can deny that books have always played a major role and have been part of our lives,” he said. Sir Salika also stressed the importance for lawyers to reduce their thoughts to writing in generating written submissions readily available to help in their litigation. While congratulating Dr Golman and other legal authors who were present at the event, Minister for Justice & Attorney General, Hon Davis Steven said legal literature should be the way forward in this generation. “Make legal writing part of the new generation of lawyering and the new Papua New Guinea that we want to build in the years to come,” he said. The Attorney General‟s Law Digest provides a platform for young PNG lawyers to publish legal opinions to contribute to PNG‟s jurisprudence. Also present and praised were Secretary for Justice, Dr Eric Kwa, PhD and other legal authors of Papua New Guinea. Above: Chief Justice, His Honour, Sir Gibbs Salika, KBE,CSM,OBE (first from left) officially cutting ribbon to launch Dr Wilfred Golmans’ book at Holiday Inn. Witnessing the cutting of ribbon were Minister for Justice & Attorney General, Hon. Davis Steven, MP, LLB (second from lef) Secretary for Justice Dr Eric Kwa (third from left) and author Dr Wilfred Golman (first from right). Below: Chief Justice, His Honour, Sir Gibbs Salika KBE,CSM,OBE, Minister for Justice & Attorney General, Hon. Davis Steven, MP, LLB and other heads of the Law & Justice Sector agencies who attended the event. What does DJAG stand for? Department of Justice & Attorney General. What is the Vision and Mission for the department? Vision: To create a Just, Safe and Secure Society for all. Mission: Delivering excellent legal and justice service to the State and the people of Papua New Guinea. What basic service does DJAG provide for the country? 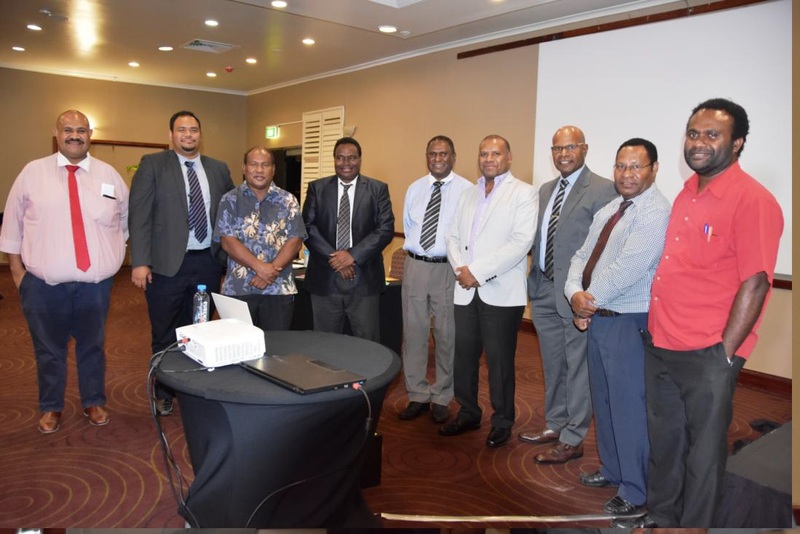 DJAG is the central agency of government responsible for Legal and Justice Administration services which impact on individuals, agencies and instrumentalities of the State at all levels of the PNG society. Does the Office of the State Solicitor and the Office of the Solicitor General play the same roles? No. They are two separate offices within DJAG and they play different roles. What is the role of a State litigation lawyer in DJAG? They appear as advocates for the State in all claims by and against the State in a court of law. Does DJAG have other offices in other parts of the country? Yes, in all four regions.